Second place AS Monaco will host fifth place Marseille in the twenty second round of French Ligue 1 on Sunday, January 26th, 2014. It would be so easy to be amped about this game, if there wasn't for the recent injury of the Colombian all-star striker, Radamel Falcao, who faces a lengthy break from football due to a torn ACL. 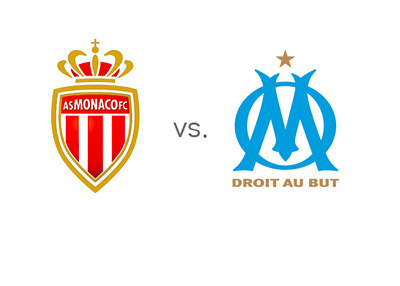 Nevertheless, AS Monaco vs. Marseille matchups are classic. There is still a half of the season left to be played in Ligue 1 and Monaco will have to try a lot harder now to qualify for the UEFA Champions League next season. At the moment they are five points behind PSG and five ahead of third place Lille. So far in this calendar year, Monaco are undefeated in the league, with victories over Vannes (2-3) and Toulouse (0-2), as well as a draw vs. Montpellier (1-1). After finishing second last season, Marseille are struggling this year. They are currently thirteen points behind Monaco and it looks like they will have to fight for a spot in the less prestigious UEFA Europa League for the rest of the season. Most recently, Marseille were booted out of the Coupe de France by Nice (4-5), only a few days after getting knocked out of Coupe de la Ligue by Lyon (2-1). In Ligue 1, Marseille were recently victorious against Evian Thonon (1-2). Even without Falcao, Monaco are the favourites to win. A 100 € bet on the hosts could return 72 € in profit, while the same bet on Marseille could return 400 € in profit. The most likely scorelines on Sunday are 1-0 and 1-1, both valued at 11/2. Emmanuel Riviere, who has netted eight league goals for Monaco so far this season, is the favourite to score at 11/10, while Andre-Pierre Gignac is the favourite to score for Marseille at 11/5. Back in September, at Stade Velodrome in Marseille, AS Monaco won with the score of 1-2.